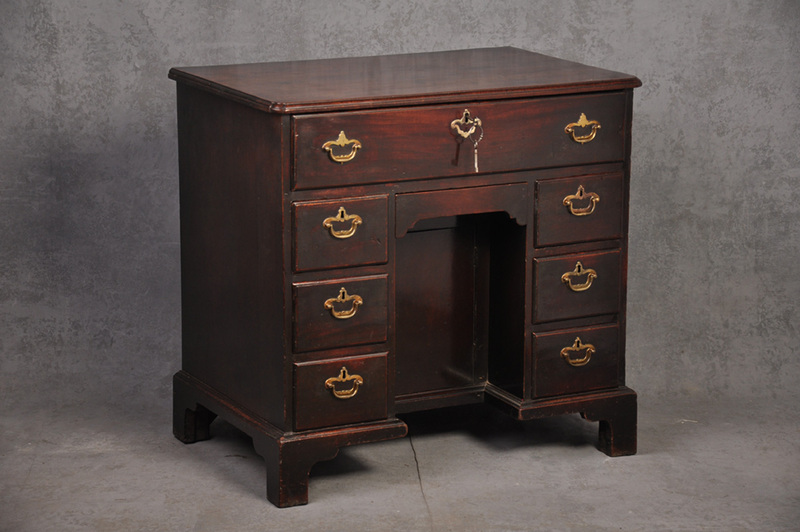 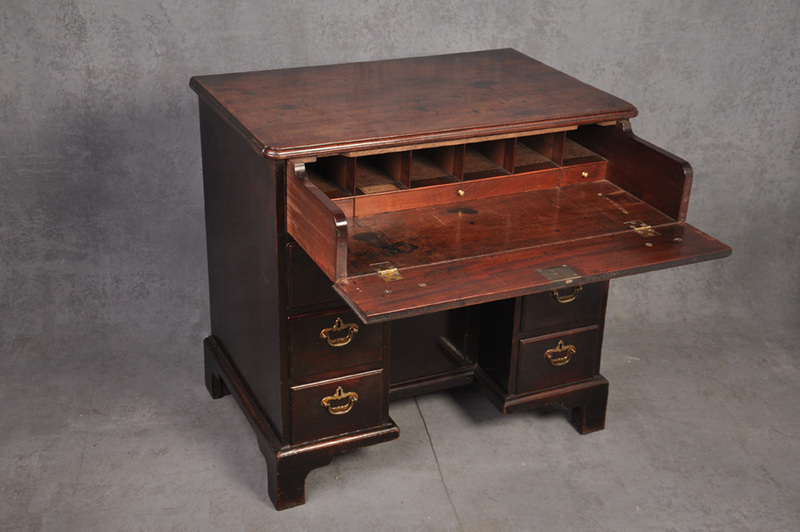 An outstanding George II Mahogany Secretaire Kneehole Desk of small proportions with Superb rich colour and patina. 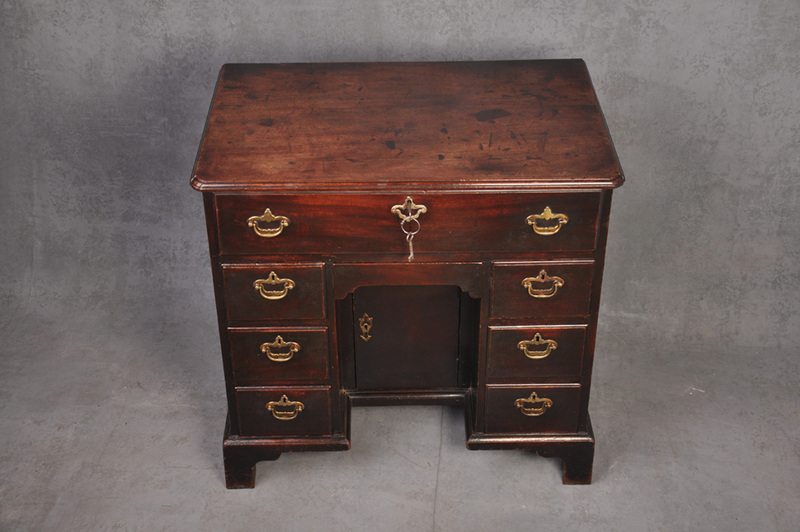 The desk is in original condition retaining the original handles. 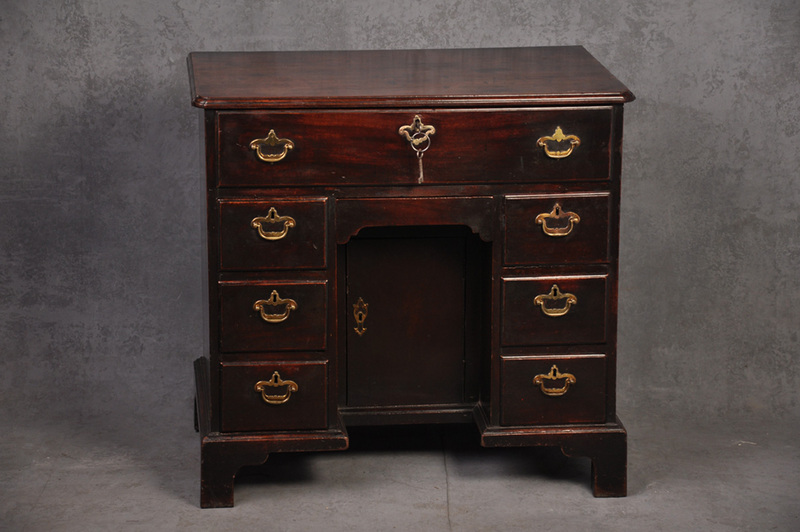 It is made from finest quality solid Mahogany and the wonderful top remarkably is made from one solid piece. 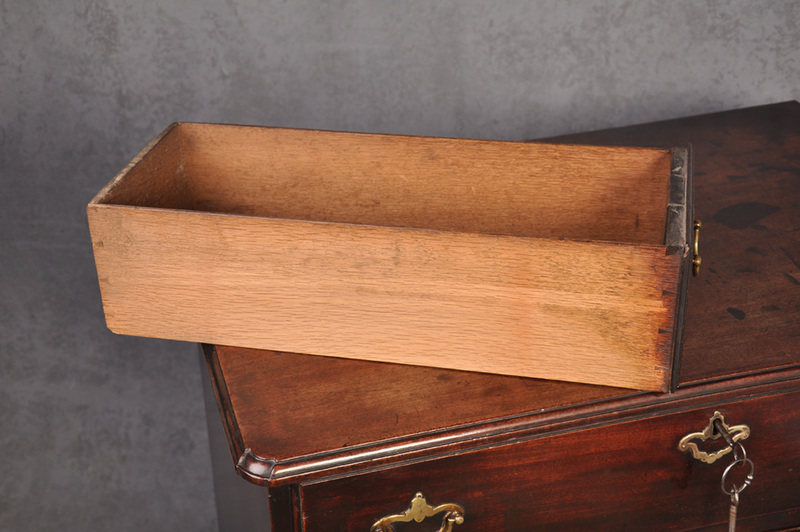 The exceptionally clean linings are in Oak.